We recently announced a new product to our lineup called Hotsheets. After we launched, agents asked us why they need it, how to get the most out it, and how it differs from a normal MLS search on their personal site. This post aims to answer those questions and to give you five steps you can take right away to attract new prospective buyers through a Hotsheet. A Hotsheet is a standalone (separate from your personal website) micro-website that is meant to target potential buyers that are browsing for property in a certain geographical area, a specific property type or other such common criteria (beds, baths, sqft, year built). Hotsheets are meant to generate leads via the inquiries that people make on the listings they find. For example, if someone is looking for condos on Lonsdale (in North Vancouver), they would visit a Hotsheet like this. As they request info on listings, the leads go to the REALTOR® that owns the account. A Hotsheet is not meant to replace your personal website. It doesn’t showcase your clients’ listings, your blog or any other content you’re creating. It’s not meant to be personally branded and it should not be a part of your selling strategy. It’s specifically meant to generate new leads from potential buyers. Most people these days have the attention span of a gnat, and have instant access to anything their heart desires. They’re looking for a very quick and simple way to get what they seek without having to jump through hoops. Since MLS data is publicly available and there are websites popping up every day with free access to all the active listings, your competitive edge should be that your site is easier to use, has exactly what they seek and that you’re the local expert they need to work with when its time to buy. The days of tricking people into filling in forms to get past a gate are gone.. unless you want to “capture” fake or confused/unqualified leads. The problem with directing targeted buyers to your normal website’s homepage is that you’re leaving it up to them to find their way to the MLS search page (through your navigation menu) then filter it down based on what they’re looking for (area, sub-area, etc.). If you take away the number of clicks required between the user landing on your site and seeing the information they seek, then you’ll end up with more satisfied users and less chance of them giving up/leaving your site. Every additional click required from the time they start, to the information they seek, results in people falling out of the funnel. A Hotsheet has no navigation menu (home, buyers, sellers, testimonials, etc.) and therefore has no “exits” off your conversion funnel. This means that people only have one course of action: search for properties, then inquire about them. Step 1. To get started, you need a Hotsheet account. Sign up if you haven’t already. Once you sign up, it takes about 5 minutes to set everything up. There’s a simple walkthrough video that you’ll see that guides you through the set up process. If you don’t have time, or simply don’t want to set it up yourself, there’s also a simple questionnaire you can fill in and our team will set it up for you (for free). You’ll see both options once you sign up and log into your Hotsheet account. After the MLS search criteria has been set on the Hotsheet, you want to write a short introductory paragraph at the top of the Hotsheet that lets the visitor know a bit more about the neighborhood and to get in touch if they want more information, to schedule a tour, etc. Keep it short and to the point. Don’t include links off the page or long content. Using a relevant photo of the area also helps because it lets the user know that they’ve landed on a website that is built specifically for what they were searching. If you need a design ninja to help, reach out to us and we can make sure your Hotsheet looks great. Once it’s all set up, it’s time to get eyeballs on it. You don’t want just ANY visitor, the goal is to target people that will find your Hotsheet useful. These are potential buyers that generally know what they’re looking for (where they want to live, how much they can afford, etc.). So, how do you get these people onto your Hotsheet? Follow the steps below to maximize your results. Let’s say you’re a buyer browsing a local newspaper, or sitting at a bus stop, and you see an advertisement for a simple/free website that shows all the listings in the neighborhood that are currently for sale. If you’re on the hunt for buying in the area, then you’re likely to pull up the site up on your phone and have a look, or you’ll check it out next time you’re in front of a computer/tablet. What the user SHOULD see on the ad: A simple message about visiting the Hotsheet for up-to-date listings in their area (make sure to reference the name of the area/neighborhood in the ad copy). Bonus points for relevant photos or iconic landmarks of the neighborhood. Make sure to clearly display the Hotsheet URL and keep it simple. What the user SHOULD NOT see on the ad: Your face and logo taking up half the ad, with no value proposition to the user. 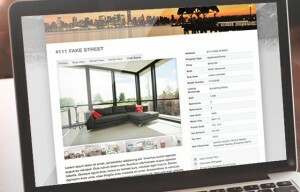 The user is interested in listings for sale in their area, show them what they are looking for. Advertisements for Hotsheets are all about context and delivering relevant information to a very specific audience (prospective buyers in XYZ neighborhood). Which one do you think gets more local traffic? Step 3. Create an online pay-per-click advertising campaign. Let’s take the scenario above and see how it works online. The psychology of the ad campaign is the exact same, we’re just applying online techniques instead of print. User searches Google for the term “Lonsdale Condos For Sale” and is presented with 213,000 results. Page one has 10 spots for organic results and a few slots for paid ads. 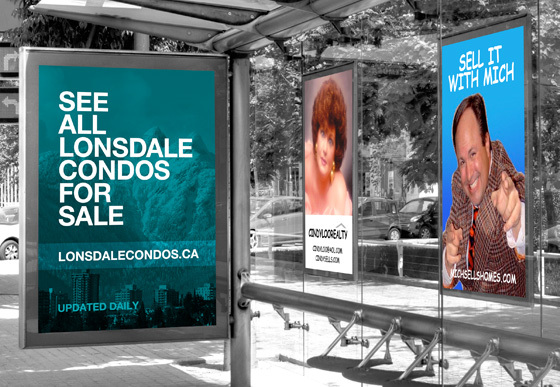 One of the paid ads reads “Vancouver Realtor” (which links to some agents homepage) while another says “Search All Lonsdale Condos For Sale – updated daily” (which links a Hotsheet that shows them exactly what they’re searching for). The latter would surely get the click, because it’s very relevant to the users search criteria. The problem with most online adverting campaigns set up by real estate agents is that they’re using the shotgun technique to blanket a whole city, and competing on the same level as big-name brokerages, when they should be targeting pockets of buyers on a hyper-local scale. The big name brokerages of the world don’t care about the micro-level, they have the budget and marketing team to cover large areas. As an individual or small team, your edge is being that local expert people want to work with. Setting up an entire website for each neighborhood can be a lot of work. This is especially true if you’re looking to test a new micro-market before you dive in. By using a Hotsheet for each area, you can open yourself up to more opportunities. It’s like fishing different lakes at the same time to increase your chances of landing a fish. “What doesn’t get measured doesn’t get done”. You should be measuring the effectiveness of all your marketing efforts, and it couldn’t be easier with websites and Hotsheets. Online marketing campaigns can be tracked for free using the industry standard Google Analytics. Set milestones (every 3, 6, 12 months) and measure the amount of traffic/leads (conversion rate) coming through each Hotsheet. Kill off the ones that aren’t performing, and allocate their advertising budgets to the ones that generate the most quality leads. If you’re ready to start generating leads, click here to get more info and to sign up for your new hotsheet.